Chasing a toned tummy and a strong, rock solid waist, but your workout routine didn’t deliver? Why not trying this flat abs workout? It works all 4 key muscle groups in the abdominal area to tone and strengthen the entire midsection. On the side of your abdomen, right on top of the midsection muscles lie the external obliques. Underneath the external obliques lie deeper muscles, the internal obliques. Both the internal and the external obliques are stabilizer muscles that help to maintain a good posture. 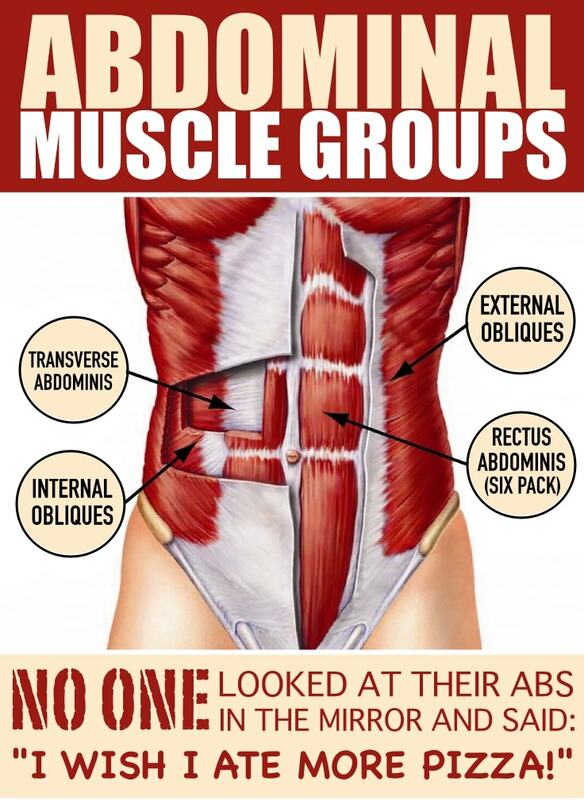 The deepest muscles in the abdominal area are the Transverse Abdominis. These muscles are found all around the midsection, in a horizontal position. Toning these deep abs creates a “natural girdle” to keep the tummy tucked and stabilize the pelvis. The last, but most appealing muscle in the abdominal section is the Rectus Abdominis, known as the six pack abs (when fit and toned, of course). These ab muscles run from sternum to pelvis and help you flex your spine. A single move can’t tone all your abdominal muscles. You’re going to need a few serious abs exercises to tighten up your mid-section. That’s why we’ve collected the best abs moves to target not just the front abs, but even the muscles you can’t see. Bicycle Crunches 10 reps with the left leg + 10 reps with the right leg. Windshield Wipers 10 reps on the left + 10 reps on the right. Flat Bench Knee Ups 10 reps.
Plank Knee To Elbow 10 reps with the left leg + 10 reps with the right leg. Mountain Climbers 10 reps with the left leg + 10 reps with the right leg. Leg Pull-In Knee Ups 10 reps.
Jackknife Sit-ups (Toe Touches) 10 reps. There is NO rest in between exercises. *Superhero – perform 5 sets with 60 seconds rest in between, and add 2 reps with each new set. In the second set perform 12 reps for each exercise, then 14 reps in the third set, etc. *Don’t try to be a superhero if you can’t pass the previous 3 levels of intensity. Start with the first level, and if it’s too easy for you, then follow the next one. Never jump to the toughest level because this flat abs workout is not as easy as it might seem. With this flat abs workout you’ll target your obliques and other abdominal muscles you never knew you had. So go sculpt a rock solid waist you can’t get doing endless crunches.